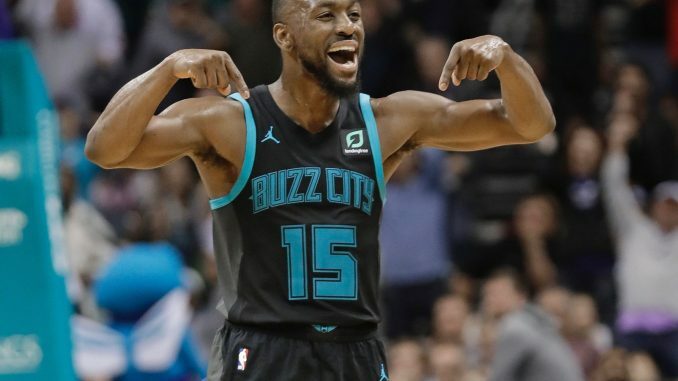 Does Hornets guard Kemba Walker deserve an All-NBA spot? Kemba Walker started the season on fire. He was making the Charlotte Hornets look a considerably better basketball team than they are. Being named an All-Star starter was deserved, and it was pretty hard to argue against. A combination of midseason injuries and fatigue have seen his standards drop. Charlotte are as good as out of the Eastern Conference playoff picture. Walker suffered a foot injury in December, coinciding with a dip in his production. His on/off numbers were negative for December and January, something that was almost unthinkable when he was averaging over 30 per game and was +5.7 in the first eight games of the season. So far in March, Walker is at -4.1. He was -4.5 in January, though we saw a great February at +6.1. On/off numbers aren’t the be all and end all, but this also fits with Walker’s play. His scoring and true scoring percentage have faded from a great start. What looked like Walker finally making the step up to join the game’s elite guards has proven to be something of a false dawn. Walker, however, has put the Hornets on his back, and he is the reason for the vast majority of their victories. This is where we find the dilemma. We aren’t just chronicling Walker’s season here, we’re looking at his All-NBA candidacy. There are qualifiers for every player, whether it be their own niggling injuries, absent teammates or cruel stretches of schedule. 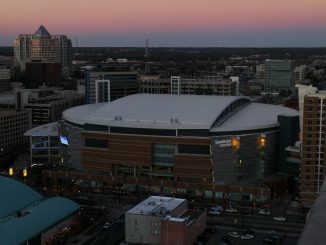 Charlotte’s record – they’re 31-39 overall and 10-25 against teams over .500 – will be held against Walker by some voters. Others will see it as a positive for Walker, suggesting he has carried an indifferent roster. To evaluate his chances of All-NBA, we have to look at the other guards. James Harden and Stephen Curry are locks, likely occupying the two first team spots. Dame Lillard is a lock too and will take one of the second team positions behind Harden and Curry. That leaves three holes to fill. Kyrie Irving, Russell Westbrook, Klay Thompson and Bradley Beal are the contenders, along with Walker. Irving has been putting up impressive numbers, scoring efficiently and assisting more than he has at any other point in his career. Some will suspect he has been a negative impact on Boston’s locker room, though, which could impact his candidacy. Westbrook is averaging a triple-double (AGAIN). He has adapted to a different role in the offence, allowing Paul George to flourish. Westbrook’s shooting has been ugly at times. It probably comes down to whether Westbrook is second or third team. Thompson is an interesting one. He barely hit a shot at the start of the season, but he’s back where we expect him to be, shooting over 40% from deep. He’s the best defender of the four. Voters all have different approaches to the Warriors at the moment. Thompson could benefit from the extra wins, but some will hold his MVP teammates against him. Beal is the most similar to Walker. He’s been by far the best player on a not good team and they’re set to miss the playoffs. Splitting the quintet behind Harden, Curry and Lillard will come down to voters’ criteria. Walker and Beal have excelled on less than stellar rosters. Some will value that, others will favour the playoff-bound Westbrook, Irving and Thompson. Voting can be influenced by timing. Walker’s October performances are chapters ago in the NBA 2018/19 story. 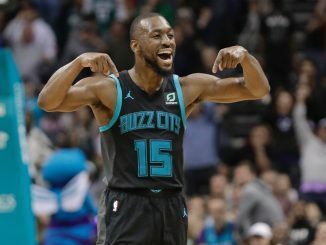 It could be a disadvantage or maybe others excuse a decline because of injuries and the immense strain of trying to get this Hornets roster into the postseason. It’s a close race, but as it stands, Walker probably misses out in a photo finish. There’s time to change that, of course. All five have a strong argument for a spot on the second or third teams, and a hot streak between now and voting could change the picture drastically. Which of the Pistons, Hornets and Heat need the final playoff spot most?